For Stanley, life stopped dead in its tracks the day his young son was accidentally killed. His wife, Lisa, tried to push forward into the future-but her husband didn't even know where to begin. Then Charles Montgomery III appeared out of nowhere and challenged the couple to consider the inconceivable, "What I am about to tell you will change your life. You can have anything you want, including true happiness, and I am going to tell you the secret of how to get it." 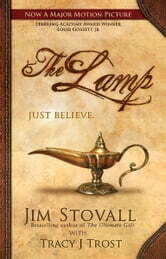 Will Stanley let go of the past and grab hold of a future full of love and a new destiny? Will Lisa take her friend's advice and leave Stanley for the guy at the fitness club? Or will they continue to be haunted by the pain and guilt of that fateful day when Eddy died? 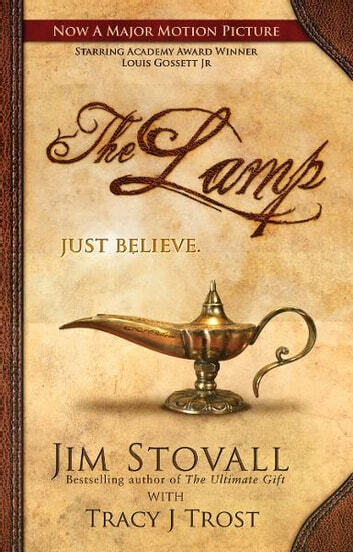 The Lamp brings Stanley and Lisa face to face with past tragedy and future hope-all wrapped in the gift of three wishes that will challenge you to live beyond the hurt and pain, if you just believe.